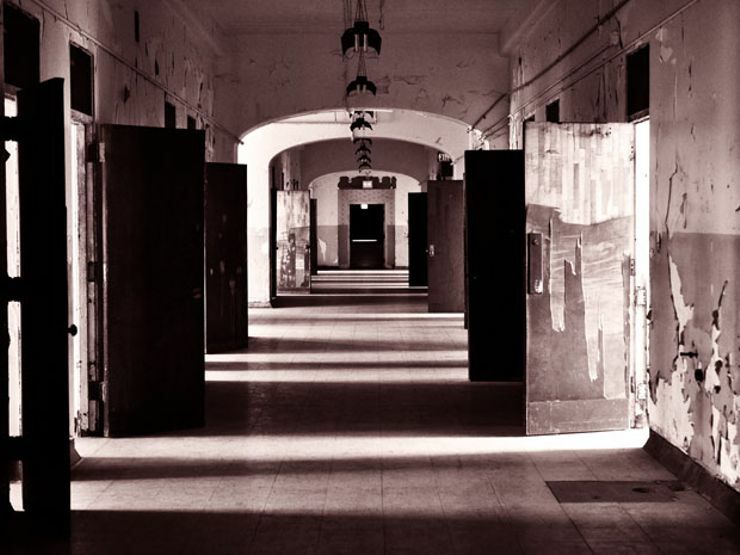 Go Ghost Hunting In Some Of The Creepiest Sites In The USA! Despite being a very young country, the United States of America has a paranormal culture that rivals much of the Old World. America was born in chaos, and its history blending the idealism of democratic institutions with atrocities like the genocide directed towards Native American tribes and the abomination of the institution of slavery has created a dark undercurrent of mythology to our country. And it's within that undercurrent that we find our ghosts. To properly catalogue all the haunted sites in the United States is a massive undertaking, so we wanted to highlight some places that caught our interest. So pack up your night vision cameras and your motion detectors as we begin a journey through Haunted America! Probably the most familiar haunted site for paranormal enthusiasts, Eastern State Penitentiary has been profiled in countless books, films, and ghost hunting shows. The facility is a massive and imposing fortress that housed hundreds of hardened convicts. It was once one of the largest and most expensive prisons ever built. It has housed some of the most notorious prisoners in history, including mobster Al Capone and bank robber "Slick" Willie Sutton. The building was heavily influenced by Quaker beliefs in rehabilitation through contemplation. In practice that meant the prisoners were often kept in solitary confinement, which drove quite a few of them insane. People have reported hearing the sound of mad cackling in the cell blocks as well as shadowy figures darting through the prison. The prison is a popular tourist spot and filming location, with everything from 12 Monkeys to Transformers: Revenge of the Fallen has been filmed here. The site is also used as an art gallery, tour spot, and is turned into a massive haunted house for Halloween. Who knows what secrets still remain in those long dark hallways? 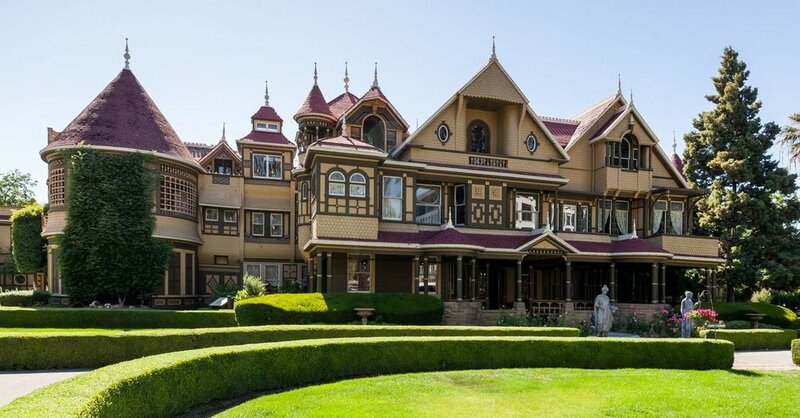 This imposing mansion, located in a cheerful Northern California neighborhood, is the home of Sarah Winchester, one of the last members of the Winchester family of gun manufacturers. The house inside is a mad jigsaw puzzle of hidden passages, crawl spaces, staircases that lead to nowhere and doors that open onto brick walls. According to legend, after the death of her husband and children, Sarah Winchester consulted a seer. The seer told her that the family was haunted by the spirits of all the people killed by Winchester firearms. The only way to disrupt their attacks was to confuse the spirits with a house that went on forever. Sarah never stopped working on the house after that. The sound of hammers never stopped falling on the property as it grew wider and more confusing. Today the site is a popular place for Northern Californians to visit. If you're in the area, be sure to take their late night flashlight tour. Villisca Axe Murder House, Villisca, Iowa. 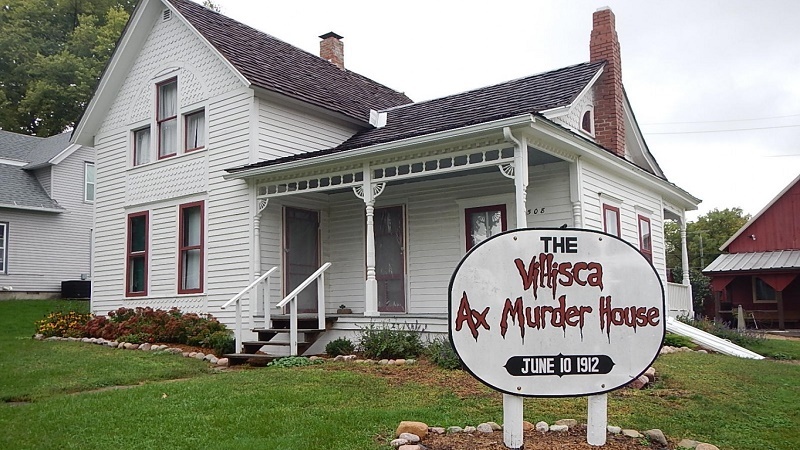 The United States has a history of sensational murders and one of the most famous from the beginning of the 20th century was the Villisca Axe Murders. In 1912, six members of the Moore family and two houseguests were bludgeoned to death by axe. The killer was never found, and attempts to try various suspects ended with mistrials. The case remained unsolved, but the house gained a dark reputation for ill fortune and strange occurrences. Eventually the site because something of a tourist site for people interested in the macabre, and the house was renovated to have the same plumbing and electrical fixtures that it had in 1912. People doing overnight tours have reported hearing the sounds of the murders. New Orleans is a city of ghosts, music, and magic. Hundreds of ghost stories, from the fanciful to the terrifying, live there and few are as famous as the murder in the Sultan's palace. According to the story, the Gardette-LaPrete mansion was once rented by a Turkish man who claimed to be a Sultan. Whether his claims were true or not - the city certainly drew strong personalities - the Sultan was certainly a wealthy man. He turned the house into a non-stop party for his friends and family. The group remained shut inside the building to continue their celebrations in private. One day, a passerby noticed that blood was oozing from the cracks in the closed front door. Police entered the building and discovered that every person in the house had been brutally butchered. The Sultan himself was buried alive in the garden, his hand bursting forth through the earth in a last desperate attempt for freedom. Today the Gardette-LaPrete mansion is one of the most photographed building in New Orleans. It has been divided into a series of apartments, where people have reported hearing the sounds of both an eternal party and an eternal massacre. The specter of slavery haunts the conscience of America to this day, and some of those spirits may manifest as the unquiet spirits of Myrtles Plantation. 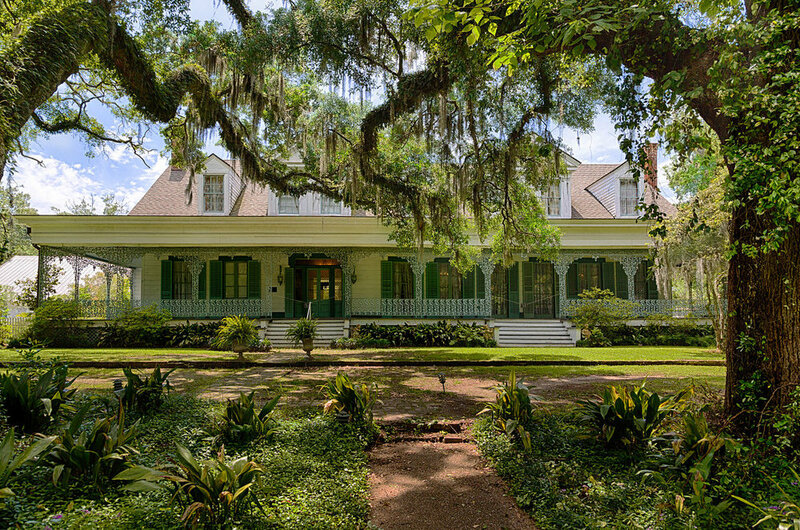 Built in 1796 on supposedly Native American burial ground, Myrtles Plantation claims a staggering 12 spirits that have been regularly seen on the grounds. The most terrifying story revolves around a slave woman named Chloe. According to the story, Chloe had her ear chopped off for eavesdropping so she took her revenge by poisoning a cake for the plantation owner's family. The owner's two daughters died - their spirits are supposedly part of the twelve that haunt the site - and Chloe was hung for the crime. People have seen her spirit haunting the main building, her mangled ear covered by a turban. It would be difficult to imagine a more bloody battlefield for American soldiers to haunt than Civil War site of the battle of Gettysburg. The battle lasted three days and cost the lives of 50,000 soldiers. It was the site of President Lincoln's legendary Gettysburg Address and it was the start of the nation suturing itself back together. 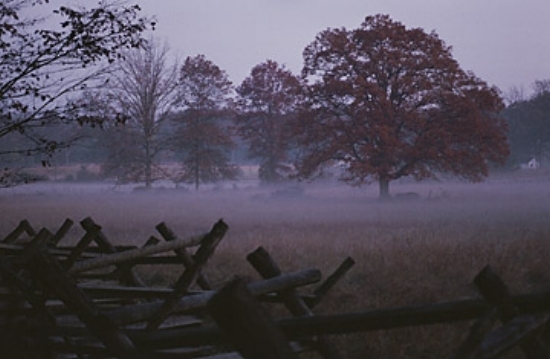 There are dozens of places around the battlefield where people have seen apparitions wearing Union and Confederate military uniforms. They're marching through the fields, manning artillery positions, and firing their weapons. One of the most compelling sites on the battlefield is Sachs Covered Bridge, where the spirits of three men executed for desertion are said to linger. Much of the history of mental health care in this country is a history of poor quality treatment, overcrowding, and brutal living conditions. A notorious example is the Trans-Allegheny Lunatic Asylum. Opened in 1864, the Trans-Allegheny Lunatic Asylum was built to hold 250 patients, it held 2,400 at its peak. With such powerful overcrowding, as well as the generally poor understanding of mental health treatment, the asylum became a horror show of inhumane conditions and violence between the staff and the inmates. The asylum was eventually closed in 1994 but it remains a favorite spot for urban explorers and ghost hunters. Such a potent history of madness and despair has created a legacy of supported paranormal activity. So go ahead and check yourself in if you're feeling a little off. We can't guarantee you will check out. The Stanley Hotel has a colorful history for horror fiction fans as it is the inspiration for Stephen King's novel The Shining. A luxury hotel in the beautiful hills of Colorado, the Stanley Hotel is the site of numerous hauntings, including the spirit of a housekeeper killed under mysterious circumstances during a thunderstorm, and has become a getaway resort of choice for the curious and the macabre. The hotel leans into its legacy, with regular nighttime ghost tours, eerie activities around the holidays, and regular visits from the in-house psychic. This is the perfect spot for you Gomez & Morticia-types to visit during your next vacation. This beautiful Victorian-style hotel, located directly across from the Navy SEAL training facility, has its own bone-chilling horror tale to tell. The grounds are haunted by Kate Morgan, who took her life in the hotel after waiting five days for a lover who never arrived. Her suite is the most requested in the hotel, where visitors have reported a cold chill, televisions turning on and off, and the sounds of footsteps around the bed. The author of this article has visited the Hotel Del Coronado and, while he didn't see any spirits, he can heartily recommend the breakfast buffet. Did we miss any favorites (of course we did, there are HUNDREDS of famous haunted sites in the USA)? If so, please put them in the comments. And feel free to share this with fellow lovers of a good scary story.